LAKELAND, FL, January 17, 2019 — Coldwell Banker Commercial Saunders Real Estate (CBCSRE) brokered a total of $18,048,178 in sales in the fourth quarter of 2018. Transactions for the brokerage totaled $249,252,155 for 2018 with 65,202 ± acres sold, an increase from 2017 total sales of $92,292,802 and 17,356 ± acres. The sales included properties in Alachua, Clay, DeSoto, Hardee, Hendry, Hernando, Highlands, Indian River, Jefferson, Levy, Marion and Polk counties. Lake Reedy Groves (1)– This property in Frostproof, FL was listed by Richard Dempsey. The 39 ± acre property sold for $385,000. This property is part of a multi-parcel listing. View more information and see remaining parcels at sreland.com/lakereedy. Lake Reedy Groves (2)- This property in Frostproof, FL was listed by Richard Dempsey. The 13.79 ± acre property sold for $96,530. This property is part of a multi-parcel listing. View more information and see remaining parcels at sreland.com/lakereedy. Parker Grove – Jeff Cusson sold this 39.68 ± acre property for $460,000. The agricultural property is located in Vero Beach, FL. Lake Hamilton 10 Acres – David Hitchcock and Clay Taylor listed this 9.55 ± acre agricultural property in Haines City, FL. It sold for $83,600. More information at sreland.com/lakehamilton. 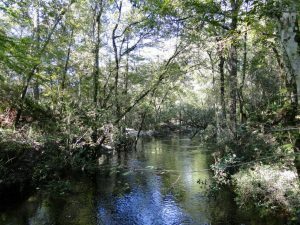 3 Creeks Crossing – This unique recreational property with conservation features in Green Cove Springs, FL was listed by Dean Saunders and Tony Wallace. The 2,608 ± acre property sold for $3,390,400. More information at sreland.com/3creeks. Arcadia 54 – Britt Peace sold this 54 ± acre rural land in DeSoto County, FL for $297,000. More information at sreland.com/arcadia54. Alachua County Farm – This blueberry and palm tree operation in Hawthorne, FL was listed by Jeff Cusson. The 115 ± acre farm sold for $665,000. More information at sreland.com/alachua. Lake Reedy Groves (3) – This grove property in Frostproof, FL was listed by Richard Dempsey and sold for $160,000. This property is part of a multi-parcel listing. View more information and see remaining parcels at sreland.com/lakereedy. 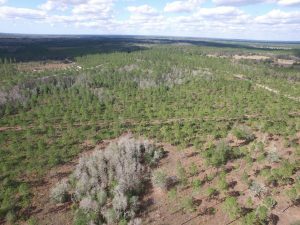 Jumpie Run (partial) – Dean Saunders, Jack Vogel, and Bryant Peace sold 1,050 ± acres of the 2,692 ± acre timber and recreational property in Monticello, FL. View more information and see remaining acreage at sreland.com/jumpierun. Fish Branch Acres 46 – Carson Futch sold this 46 ± acre agricultural and recreational retreat property in Zolfo Springs, FL for $140,000. More information at sreland.com/fishbranch46. 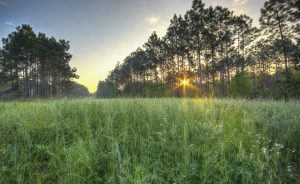 Goolsby Conservation Easement – Dean Saunders sold this 4,476 ± acre conservation easement in Sebring, FL for $7,631,580. recreation and timber. More information at sreland.com/hiers. Lake Lena Townhome – Clay Taylor and David Hitchcock sold this 13.2 ± acre residential development property in Auburndale, FL for $680,000. Lake Moody Lakefront – This 8.76 ± acre land, perfect for a homesite, was sold by David Hitchcock and Clay Taylor. Located in Frostproof, FL, this property sold for $85,000. More information at sreland.com/lakemoody. Riverfront Intercoastal East and West – Sara Catlett and Paul Meador sold these two properties in Labelle, FL for $250,000. The 2.94 ± acres of waterfront residential land offered the perfect spot for building dream homes. More information at sreland.com/riverfronteast and sreland.com/riverfrontwest. North Marion County Hunting – This 34.4 ± acres recreational property in Citra, FL sold for $34,000. Clay Taylor and Debbie Banks listed the property. More information at sreland.com/northmarion. Lake Gadau Lakefront – Located in Bartow, FL, this 20.25 ± acre property was ideal for a homesite, ranchette or small farm. Jimmie Allen sold the property for $157,500. More information at sreland.com/lakegadau. Istachatta 20 Acres – Listed by Eric Hoyer and John Holzaepfel, this 20 ± acre property is located in Brooksville, FL. The rural timber tract sold for $230,000. More information at sreland.com/istachatta.